Mt. Olive SDA Elementary School was privileged to avail the program of APPT through Pastor & Mrs. Remelito Tabingo. First, they sponsored the tuition of 5 children. 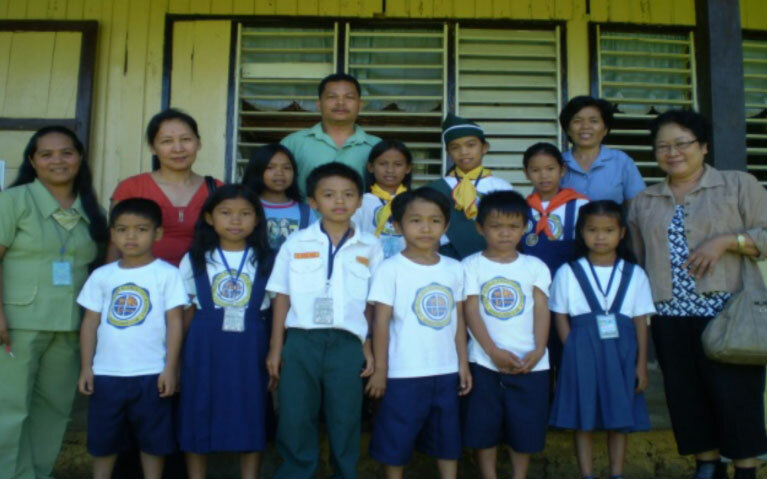 Last September, 15, 2010 they visited the School to give additional assistance to 5 other children amounting to P10,000.00. Aside from this monetary assistance they gave food stuffs for snacks and also used clothings to all children including the teachers and parents who were present. Presently, there are 10 sponsored students enjoying this fund in this school. Since 2007 the school enjoyed the assistance extended to them by the APPT program for the deserving children who were less fortunate. We praise the Lord through their support many children were able to continue their education and also the school was blessed of the funds. The total enrollment in the school is 86 and it is only 30% who are capable of paying their tuition. Thus, the teachers and School Board members are wishing that the foundation will also give a share of assistance not only to students but a teacher’s salary. More power to the foundation! [Letecia D. Ramos].